I recently stumbled upon videos by Cupcake Jemma on YouTube, and thought her recipes looked great! In fact, I got the Oreo Pavlova recipe from her. 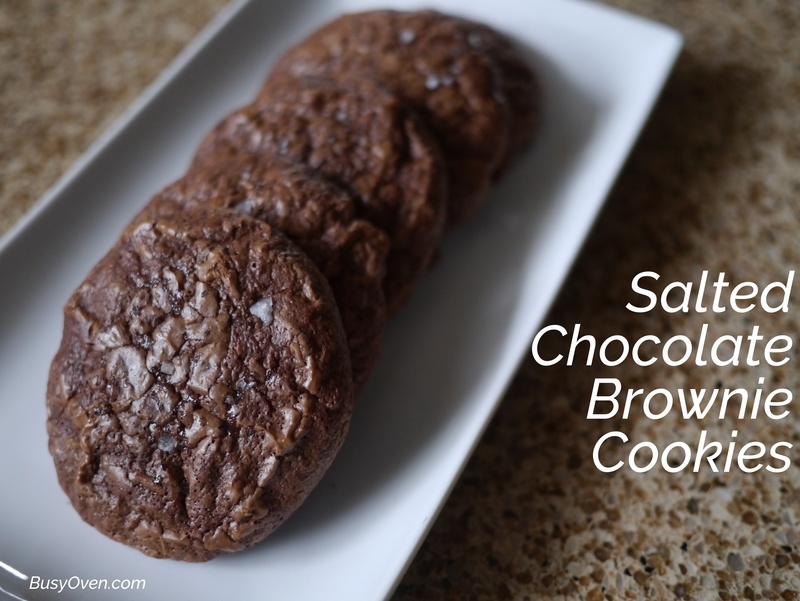 This Salted Chocolate Brownie Cookie recipe looked really good when she made it, I just had to give it a try. Sure enough, her recipe turned out to be a winner. 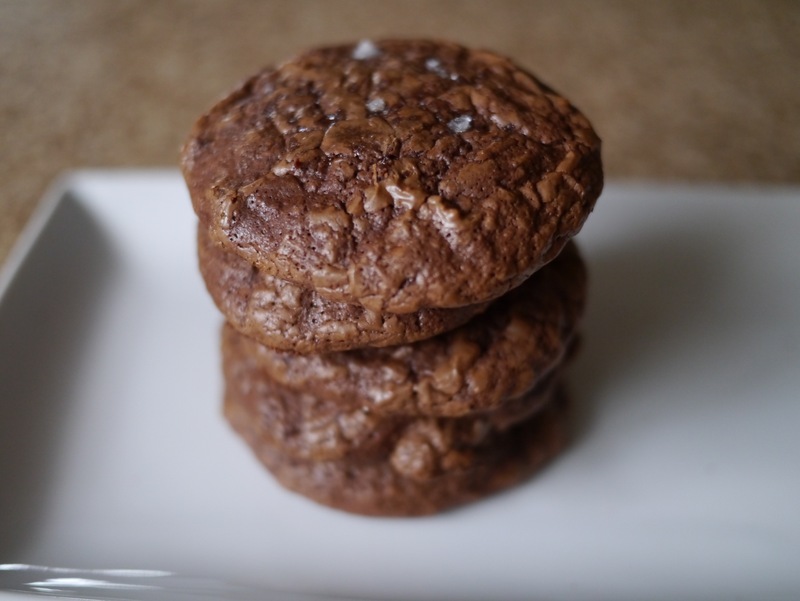 It’s exactly how it sounds: a salty chocolate cookie that tastes and feels like a brownie. 1) Melt the chocolate with the chopped butter in a double boiler or bain marie. Once the mixture is liquidy, set it aside to cool. 2) Whisk or sift the rye flour, baking powder, and salt together and set them aside. 3) In a stand mixer with a whisk attachment, mix the eggs and brown sugar together for about 3 minutes on medium speed; the egg and sugar mixture will have increased substantially in volume. 4) Add the cooled melted chocolate to the egg and sugar mixture, reducing the mixer to low speed. Mix until the chocolate is well-incorporated. 5) Add the whisked/sifted dry ingredients to the chocolate mixture and continue to mix on low speed for a few seconds, until the dry ingredients are just combined with the chocolate. The batter should be liquidy (like brownie batter). 6) Refrigerate the batter for at least 30 minutes. Ideally, the batter will be chilled enough to scoop out and keep its shape. 7) Preheat the oven to 350 degrees F.
8) Scoop out the chilled batter (about 2-3 Tbsp) onto a prepared baking sheet, and smash the mounds down a little with the palm of your hand. Sprinkle some salt on top. 9) Bake for 10-12 minutes, or until the tops of the cookies have cracks in them. If the tops are too smooth, the centers of the cookies will be runny.